New Directions Social Care Cardiff is our flagship operation supporting South Wales. The team work tirelessly to provide the highest quality staff to support vulnerable people of all ages. These include supporting children and young people in care, the homeless, those affected by substance misuse, adults with mental health conditions or learning disabilities, babies and toddlers and the elderly and infirm. 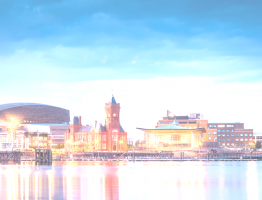 By forging strong relationships with charities and aid foundations, local authorities and private sector organisations, ND Social Care Cardiff provide both permanent and temporary recruitment solutions throughout the social care sector across the region. Each candidate that is registered undergo rigorous referencing by our award winning Quality and Compliance team, ensuring that no stone is left unturned before making our candidates available for work within our communities. Blaenau Gwent, Caerphilly, Cardiff, Merthyr Tydfil, Monmouthshire, Newport, Rhondda Cynon Taff, Vale of Glamorgan and Herefordshire. Support Workers, Care Assistants, Team Leaders/Managers, Qualified Social Workers, Social Work Assistants, Project Workers, Housing Officers, Hostel Workers, Day Service Workers, Children’s Residential Staff, Nursery Nurses and Assistants, Play Workers and Leaders. We recruit for both temporary and permanent positions. Cardiff has more green spaces per person than any other UK core city.